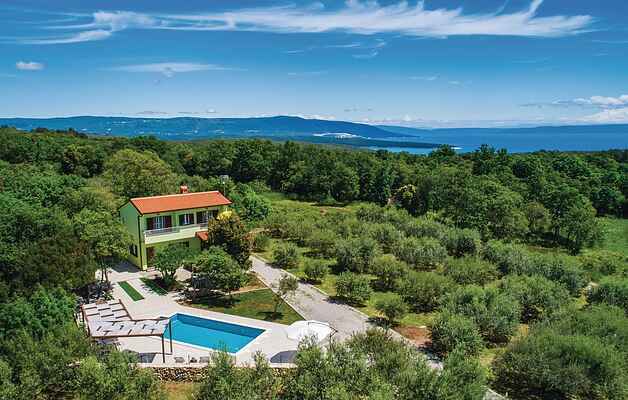 This lovely holiday house is located in a small village Peruški, near the sea and is hidden from views and neighbors. It is ideal for families with children because they can play undisturbed on the large plot, which is surrounded by greenery and beautiful nature. The interiors are stylishly furnished and offer their guests an extremely comfortable stay. The special atmosphere can be enjoyed on the outdoor terrace where from you have a partial view on the sea and the landscape. Drive along the unpaved road below the house to the next natural beaches, where there are no crowds and noise. Visit the beach of Duga Uvala and the nearby villages where you will find many taverns and restaurants.